Your work wardrobe might be out of hand, and may be one source of your overall stress. 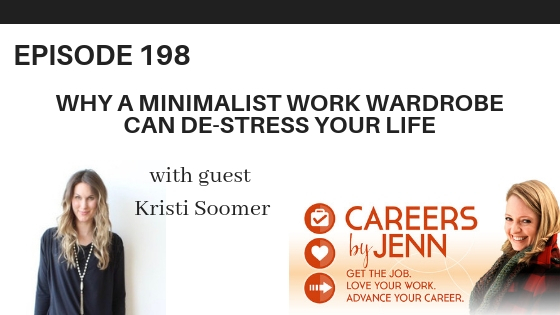 Guest Kristi Soomer from Encircled, an ethical clothing company in Toronto, shares how reducing your closet can reduce your stress. Why would it be critical to be likeable at work? What difference can it make if you can do the job? Apparently, a whole lot. Find out why and how you can increase your chances of being likeable in this episode. Today's guest Johnathan Grzybowski shares how some of his best career moves come as a result of getting away from it all. Find out how travel could help your career success.